Why specialized doctors and nurses for children? Without exception, our doctors are experienced specialists or senior physicians working at pediatric university hospitals, primarily at the hospital of the Ludwig-Maximilians-University in Munich, Germany. In addition, we are able to offer any pediatric acute medicine sub-specialization: Pediatric Intensive Care, Pediatric Cardiology, Neonatology and Pediatric Anesthesia, ECMO and ECLS team (including cardio technicians and cardiac surgeons), Pediatric Neuro Surgery, Pediatric Surgery and Pediatric ENT. Our accompanying nurses are specialized in Pediatric Intensive Care Medicine and Neonatology. Thanks to long-term cooperation with our crew members, we can guarantee a perfectly coordinated team. In addition, every team member regularly participates in emergency training seminars at our own Pediatric Emergency Simulation Center. We have worldwide coverage for our malpractice insurance, including the USA and Canada. 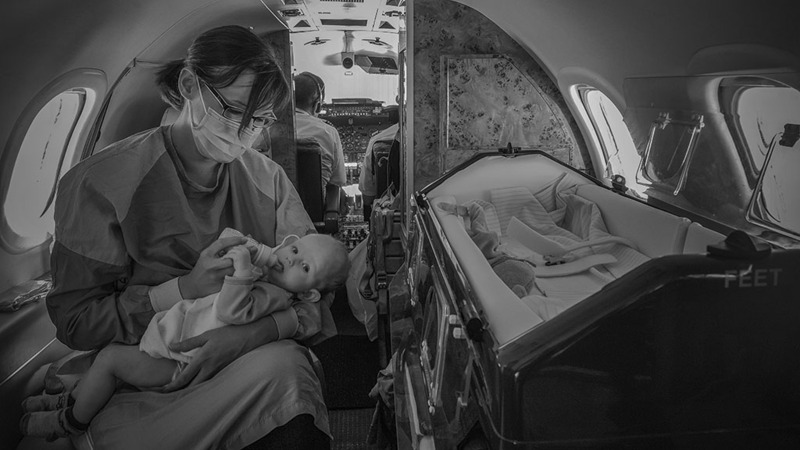 Our directors are the founders, owners and managing partners of Pediatric Air Ambulance. Please find out more here!